It was with much anticipation that we headed to Butcher's Best in Newtown for Chef Michael Bick's first farm-to-table dinner of the year. We not only brought our appetites; we brought friends. And you know it's going to be a fun evening when you're handed a glass of champagne as you walk in the door. I must say that the butcher shop made for a quaint dinner setting. It was with bubbly in hand that we made our way around the room, chatting with friends new and old, and noshing on a trio of passed hors d'oeuvres. First to come around was a mini duck burger on brioche bun with shiitake mushroom ketchup. As you know I do not eat mushrooms, but decided to give it a whirl. Much to my delight it wasn't overly mushroomy, just a hint of earthiness matching well with the richness of the duck. The next bite-sized treat was a Mediterranean ratatouille with zucchini, squash, red pepper, tomato and Arethusa Farm goat cheese nestled into a crunchy sun dried tomato tartlet. The final pre-dinner delight was grilled lamb loin on a potato raft with tzatziki. This was irresistibly good. The crisp, light potato backdrop for the tender, rare thin slice of lamb on top accented with the tangy tzatziki was a beautiful combination. I think I sampled more than my fair share because, you know, I had to share details with you. Yeah, that's it. Before we knew it, it was time to be seated and enjoy an amuse bouche of asparagus leek soup and grilled cheese with truffle. I am not always a fan of truffle, often finding the flavor to be overpowering. The soup was bright like spring and the hint of truffle in the grilled cheese wasn't too much but rather helped to round out the flavors. A crisp mixed greens salad with rice wine ginger vinaigrette was a nice palate cleanser to ready us for the remaining courses. 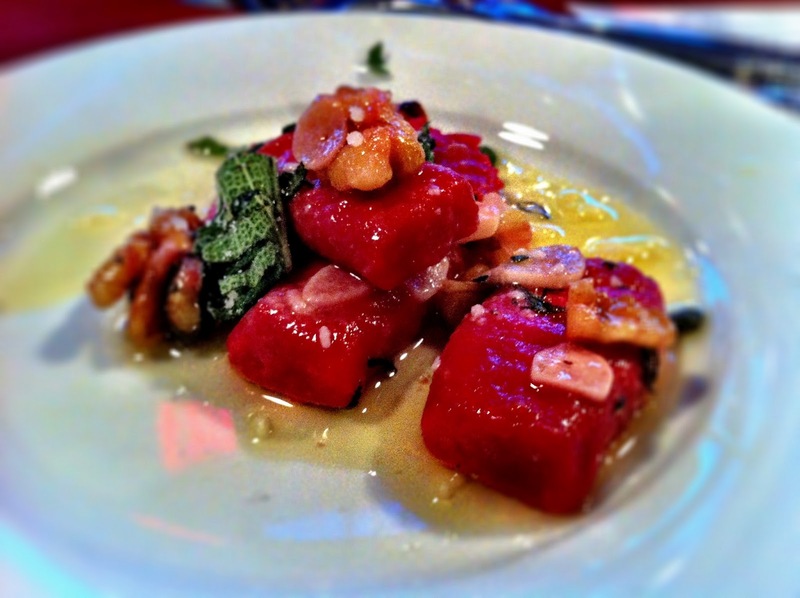 As the wine flowed, our next course was beet gnocchi with walnut sage butter. Um, awesome! If this had been the only course I would have been happy. Not only did it taste fantastic but the color was just so amazing. 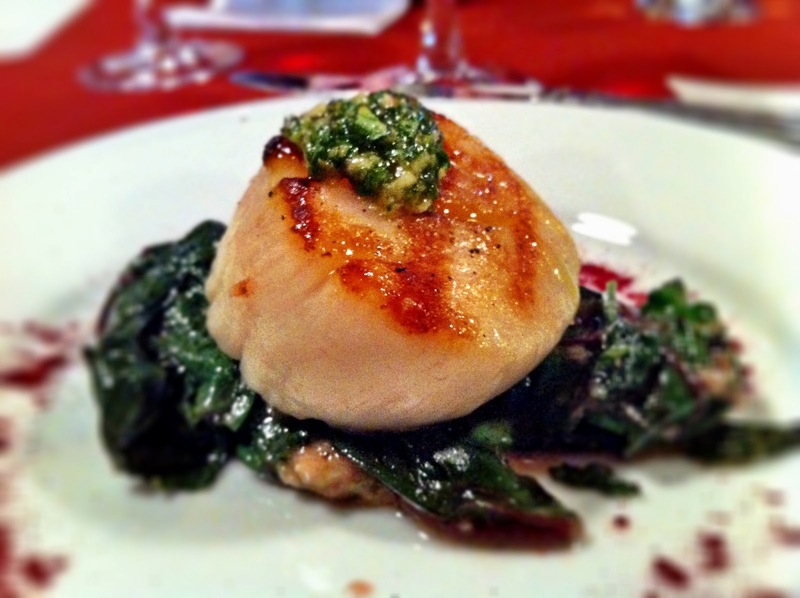 Next came a spicy seared diver sea scallop with yuzu kosho pesto atop wilted beet greens. The heat from the yuzu kosho pesto was killer - not too hot, but just enough to linger on your palate. Thumbs up. 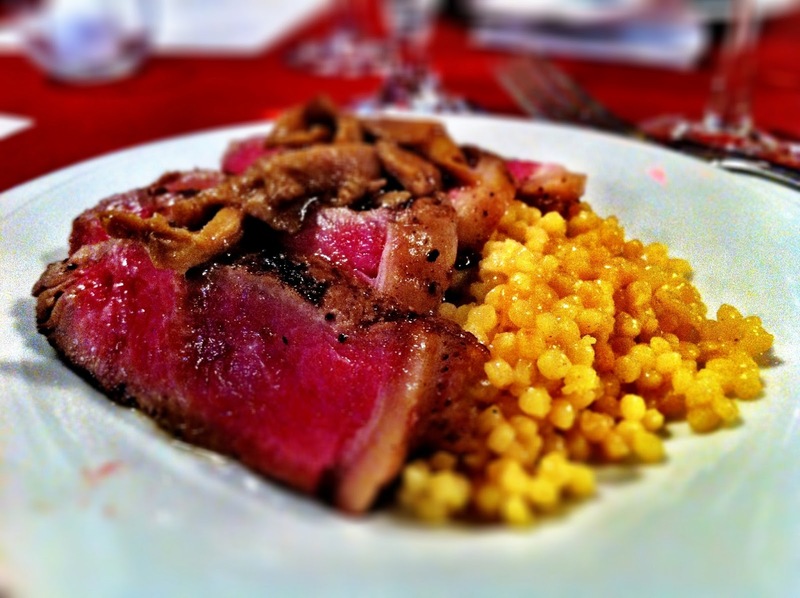 The last course was dusted grilled NY strip loin with wild mushroom ragout over saffron-curry Israeli couscous. I think I hit my mushroom max at this point, so I didn't quite eat it all. I will say however that the steak was cooked perfectly. It was a delicious meal and just when we didn't think we could eat another thing, well, it was time for dessert. When dessert is bite-sized you don't have to feel guilty for sampling all the options, right? Well, that's what I tried to convince myself of as I savored pieces of cappuccino brownies, limoncello curd tartlets, and white chocolate smores. At our end of the room, the hands down favorite was the smores creation. I also really loved the lightly sweet and refreshing limoncello curd tartlets. I've said it before but I'll say it again, good friends, fun conversation, and great food make for a wonderful Sunday evening. 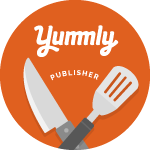 You can check out the Some Thing's Fishy website for info on Chef Bick's upcoming farm-to-table events. And, on a side note, if you haven't been to Butcher's Best you should go. It's like the butcher shops I remember from my childhood where they have great meats and know how to prepare them.